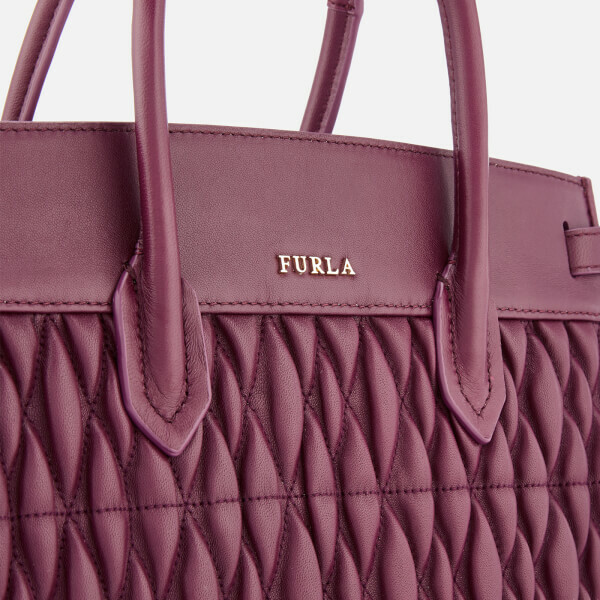 Realised in smooth leather with diamond-quilted trapunto detailing, the women’s ‘Pin Cometa’ tote from Italian luxury accessories label Furla, boasts a structured design with a triple-compartment interior. 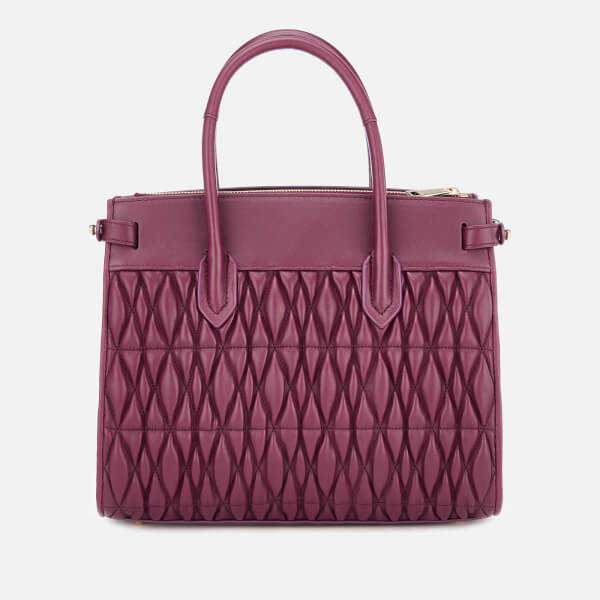 Suspended from reinforced top handles, the small tote opens to reveal a central zipped compartment in between grosgrain-lined outer pockets. 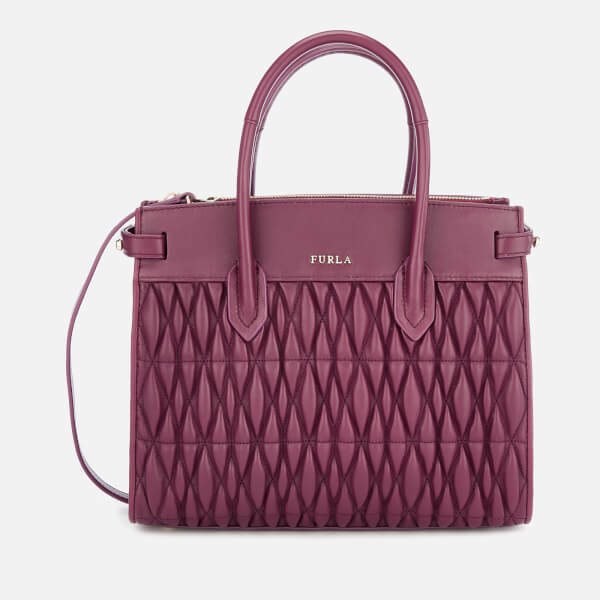 Three internal pockets within offer easily-accessible and organisational storage of daily essentials, whilst a long, removable strap offers cross body wear. 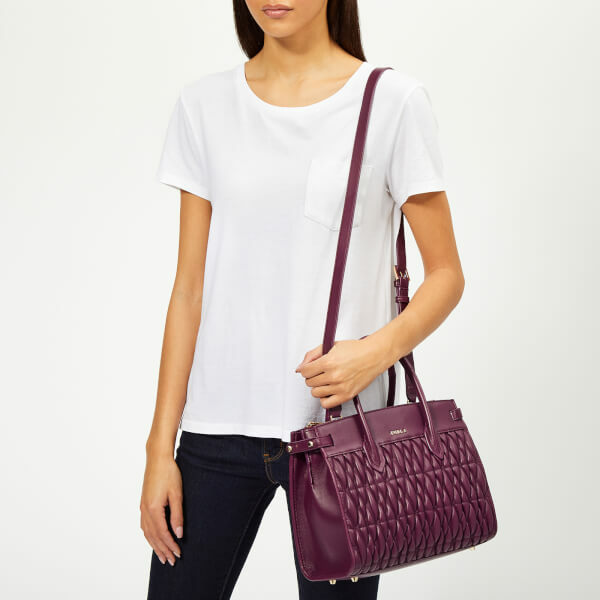 Polished gold-tone hardware including metal feet at the base and an appliqué logo at the front elevates the textured satchel. Arrives with a protective dust bag. Dimensions: H: 24cm x W: 28cm x D: 14cm. Handle Drop:11cm.